Nearly 3 out of 4 online shopping carts are abandoned. There are a myriad of reasons why customers abandon their carts, from sticker shock about shipping rates to lack of trust in your data privacy policies. Whatever the reasons are behind this astronomical number, the fact remains that marketers need to address this unavoidable issue. Cart abandonment emails are one of the leading cart recovery methods you can employ. According to Ometria, around 44.1% of all cart abandonment emails are opened, 11.6% of all cart abandonment emails are clicked and 29.9% of clicks lead to a recovered purchase back on site. In this blog, I’ll show you 5 ways to make cart abandonment emails work for you and your business. The first thing a customer sees in their inbox is who an email is from. The second thing is the subject line. A subject line can make or break you. In fact, 33% of email recipients open email based on subject line alone and it’s one of the easiest, most impactful elements of any email you can test. 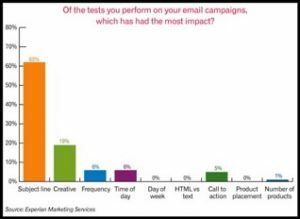 Some simple tests you could perform to boost open rates with your subject line would be to test including action words like “exclusive,” “hurry,” “don’t miss out,” etc. Personalization is another great way to grab attention and boost open rates. The most obvious way is to include the customer’s first name in the subject line. Campaigns with personalized subject lines generate higher opens rates than non-personalized campaigns. 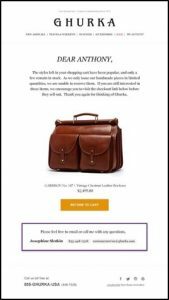 In this email, Ghurka references the shopper by name in the headline, creates urgency in one paragraph of brand-appropriate copy, and uses a strong call to action. They even include what looks to be a personalized customer service angle to finish the email. One of the common reasons shoppers abandon their carts is simply human nature: they get distracted and leave the site. Remind your shoppers about what they left behind with as many specifics as you can from the data you collect in your marketing stack. Include an image of the product, a brief description, color options, size selections, patterns, pricing—again, any data point you feel can be brought in. If the items in the cart are top-selling items include cart expiration dates or in-stock/out-of-stock alerts. In the Nordstrom example below, you’ll see an example of cart items being incorporated. They feature a fast-selling item at the top and the other items separately. 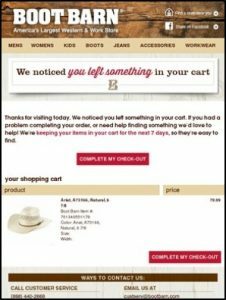 While I always recommend keeping cart abandonment emails as simple as possible, cross-selling related or popular items can drive additional revenue as well. Personalizing “Recommended Items” or items “You Might Also Like” can drive a 28% increase in average order values. Optimizing your templates for mobile is crucial to any email’s success. According to Statista, 34.5% of sales are completed on a mobile phone, with an expected rise over the next three years. Your cart abandonment emails need to not only look good on mobile but also enable your customers to complete the actions from the phone as well (so don’t forget your mobile website, either). When talking about cart abandonment strategy, it’s natural to think of B2C ecommerce sites as the primary places where abandonment occurs. While this is true (certainly by percentages), B2B ecommerce and their requisite cart abandonment issues should not be overlooked. The definition of an abandoned “cart” would change depending on the product or service being offered. If you’re selling products to businesses, cart abandonment content and strategy might mirror that of the B2C processes we’ve identified above. If your offering involves a subscription service or a free trial period, your process might be geared more towards activation of the trial or subscription. The important thing to realize with B2B websites and an abandonment process is there are likely to be more reasons why people would visit the website beyond buying products. Some of these reasons include order status and tracking, product availability and contract pricing, invoicing and payment, etc. Given these potential variables, the smart decision would be to determine what counts as an abandoned cart in terms of customer behavior rather than employing a one-size-fits-all cart abandonment program. What this specifically means for your business can obviously vary in terms of exact execution. A third-generation family-owned wine merchant, mostly focused on offline retail, Zachys Wine & Liquor started to shift to e-commerce in 2013. 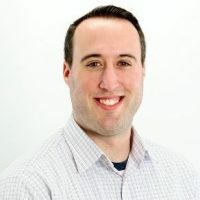 They started with a three-email cart abandonment series and were able to grow their e-commerce sales by 53% by reclaiming cart, browse, and search abandoners. 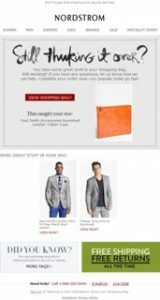 This e-commerce site reduced its checkout abandonment by 40% with emails targeted at abandoners. The first email achieved an open rate of 38.01%, a click-through rate of 24.71% and a 40% conversion rate. This southwestern outfitter created a three-stage cart abandonment program that resulted in a 12% lift in captured revenue. The first email, seen below, was sent 20 minutes after abandonment and generated a 46.04% open rate. Now that you’re armed with information to craft cart abandonment emails that work for your brand and your customers. A lot of revenue is lost when shoppers abandon their carts. Start small with one email, utilize as much data as you can to bring in elements of the cart, and turn those abandoners into customers. 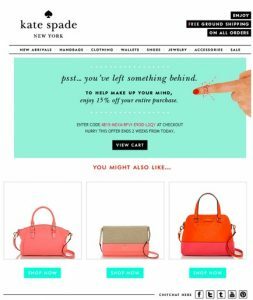 How have you incorporated cart abandonment emails into your marketing plan? Tell us about how you’ve done so in the comments.